Imagine the things that you can do with a few supplies from your local Dollar Store or any thrift store. This nifty and thrifty idea comes from Saved by Love Creations and it gives instructions for a lot of different things that you can do with supplies that cost less than a dollar in some cases. Imagine a great wall hanging made out of a cheap rubber mat that you just paint any color you want. This is the kind of crafty goodness you will find in this post. Really, who doesn’t just love crafts when they are beautiful and cheap? Via 60 Projects to Make with Dollar Store Supplies Want more? 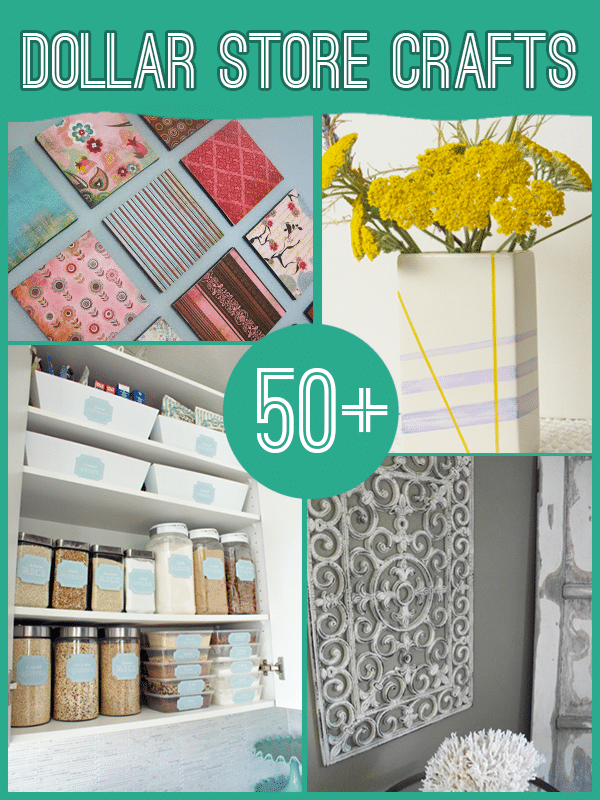 check out our 150 Dollar Store Home Organizing post for endless organizing inspiration. What a tremendous post this was! I can tell you really care about what you are writing about, which is a rare thing these days. I bet your content will soon get picked up by a major syndicate. Thank you for bringing this information out, it’s much appreciated! Look like I would be interested in.